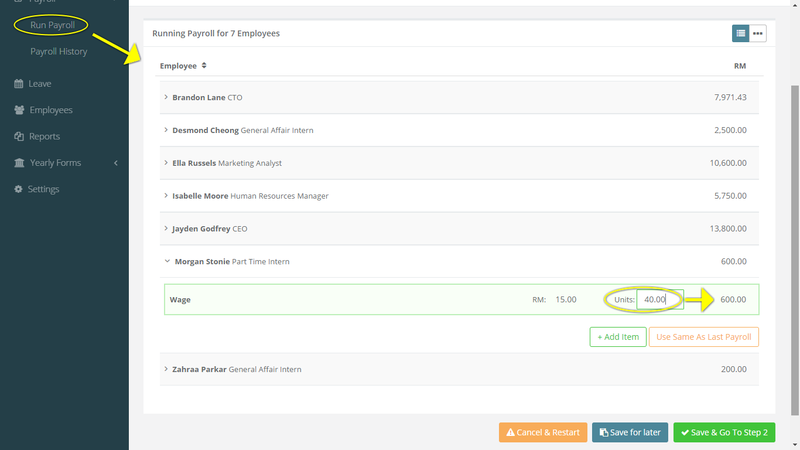 PayrollPanda — How do I add the salary of employees who are paid hourly or daily? Help Center Home App How do I add the salary of employees who are paid hourly or daily? In the app, when an employee is paid monthly it&apos;s known as Salary. When they are paid hourly or daily they are known as Wages. By default the Salary/Wages frequency is set to monthly. To change it you go to Salary/Wages Frequency under the Employment Details of the employee and change it to ‘Hourly’ or ‘Daily’. Enter the amount paid per hour or day as per employment contract and click save changes. Note that this is only the rate. The actual number of hours worked should be specified at the time of running payroll. At the time of running payroll you have to add the number of hours or days each employee has worked that month in the Units field of the Wages record of the employee. Note that Overtime should be added as an additional payroll item. How is PCB calculated by the app?